In F.A. Hayek's 1988 book, "The Fatal Conceit," the economist explained, "The curious task of economics is to demonstrate to men how little they really know about what they imagine they can design." Unfortunately, politicians of both parties today imagine they can design quite a lot by successfully managing the nation's health care, trade and energy production, among other herculean tasks. The recent push to centralize more of the economy — think about "Medicare-for-all" or "Buy American" requirements for infrastructure projects — comes even though we are still discovering all the ways in which prior efforts to direct economic activity have backfired. Consider the case of the Public Utility Regulatory Policies Act of 1978, or PURPA. This program within the Federal Energy Regulatory Commission, or FERC, is still causing headaches today. Among the goals of PURPA was expanding the use of renewable energy sources. To do that, it required utilities to purchase energy produced by "qualified facilities" (QFs) if it was an equal or lesser cost to what could be purchased from a traditional power plant or generated itself. In PURPA lingo, that's an "avoided cost." This was considered a way to introduce competition into energy markets. In practice, however, the unintended consequences of the mandate coupled with other government interventions have resulted in less competition. Utilities have had no choice but to buy from these QFs. In recent decades, the lower costs of solar and wind hardware, combined with the introduction of lucrative solar and wind tax credits, artificially high rates and PURPA's guaranteed purchase requirement, have made QFs moneymaking investments regardless of market need. In other words, tax credits distort the energy markets, and the PURPA mandate distorts them further. 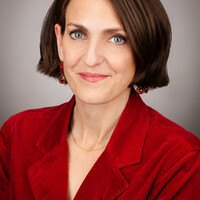 Veronique de Rugy is a senior research fellow at the Mercatus Center at George Mason University. To find out more about Veronique de Rugy and read features by other Creators Syndicate writers and cartoonists, visit the Creators Syndicate webpage at www.creators.com.